Roald Amundsen was born to a family of Norwegian Shipowners and Captains in 1872. The youngest of four sons, he initially studied medicine according to his mother's wishes. After she died, Roald left university aged 21 and followed his dream to become an explorer of 'Wildeness places'. His first jobs were as a crew member on various ships. In 1897 he joined the Belgian Antarctic Expedition 'The Beluga' as first mate. 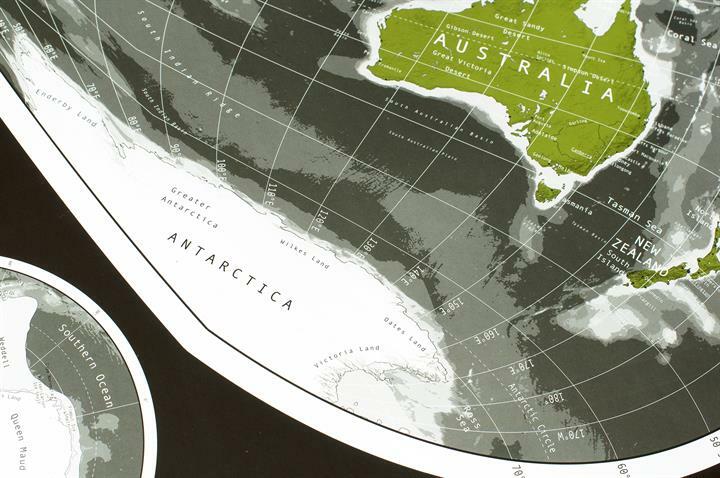 It was the first scientific expedition to the continent and unfortunately, became locked in packed ice just west of the Antarctic Peninsula. The crew were underprepared to endure a long winter in the Antarctic conditions, however, amazingly, they made it back home. They became the first expedition to survive an Antarctic winter. Amundsen believed this was mainly due to their American doctor who hunted for animals, fed the crew the fresh meat - which was rich in vitamin C to prevent scurvy - and wore their coats to keep warm. What was the first expedition he commanded? 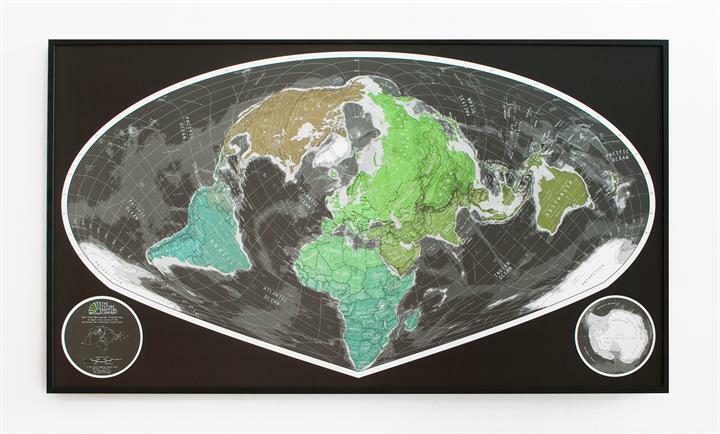 In 1903, Roald commanded his own expedition travelling to the magnetic North Pole. He successfully discovered the long searched for Northwest Passage from the Atlantic Ocean to the Pacific Ocean and was highly praised for his discover and ability to survive the trip. He next planned an expedition to reach the North Pole. However, while organising this he heard that fellow explorer Robert Peary had already claimed to have reached the it. 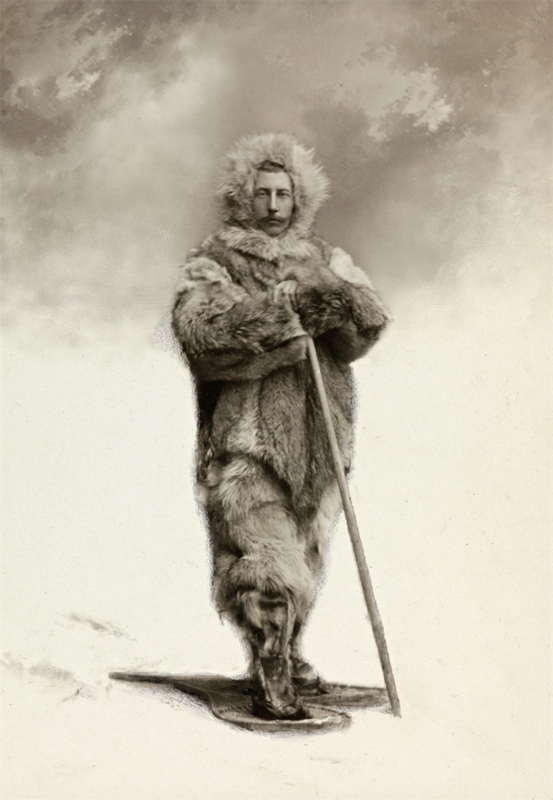 In a competitive spirit, Amundsen made a secret last minute change of plan and decided instead to race the British Explorer Robert Scott to be the first to the South Pole instead. WAS HE THE FIRST TO REACH THE SOUTH POLE? Amundsen alerted his crew of men, and fifty two dogs, that they would be heading for Antarctica not the Arctic as believed. They left Oslow in June 1910 and six months later, the expedition arrived at the Ross Ice Shelf, or Great Ice Barrier. They set up their camp there and used the dogs and sleds for transportation. 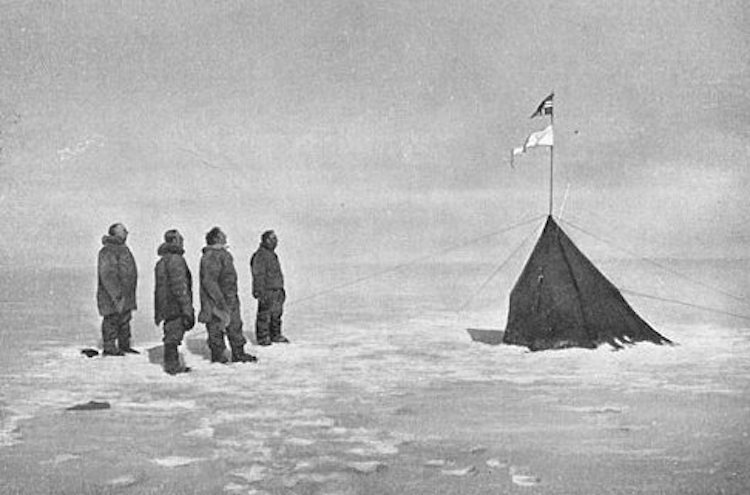 The first attempted trek had to be abandoned due to extreme conditions, but the second team of 5 men finally arrived at the South Pole on 14th December 1911 after a four day climb and planted the Norwegian Flag. They returned home victorious. All the men made it back, but only eleven of the dogs. Though some died due to the conditions, Amundsen had planned that some would be killed for meat to help the crew avoid scurvy after the lesson learnt on his earlier expedition. What happened to the other expedition? Unfortunately although they made it to the South Pole 35 days later, Robert Scott's British expedition did not make it back alive and were found frozen to death months later. When did he reach the North Pole? In 1926 he joined an expedition with Umberto Nobile aboard the airship Norge. They flew over the North Pole in May in what was is considered to be the first undisputed (many people still dispute Robert Peary's claim) visit to the North Pole.